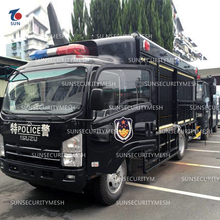 Razor wire security barrier system also known as anti-riot vehicle/rapid wire deployment system, is a new type of obstacle deployment equipment. 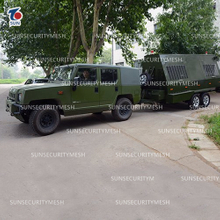 The Rapid Deployment Barrier is used for riots, stability, borders, battlefields and road isolation. 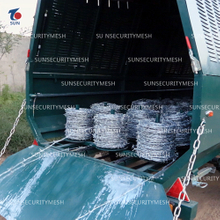 It can arm 1.75 meters high gill net belt quickly , hailed as: no bullet protective wall!